If you need superior plumbing & heating services in the Glasgow area but don't want to pay a premium - give Mercer Plumbing & Heating a call. From central heating repair to bathroom installation, we can carry out all domestic and commercial plumbing work at highly competitive prices. Great service, very easy to arrange work, tuned up bang on time and did a thorough, tidy job. Very friendly to deal with, and a very pleasant and smooth experience overall. I will be using for all future heating work and would highly recommend. We needed a very old boiler replacing with a new boiler, tank and upgraded pipe work. The team from Mercer's did an brilliant job, were very hard working, friendly and clean. They were not phased by an issues an old house threw at them. I would definitely recommend them and use them again. We have had a problem boiler which decided to finally die on a Sunday night - i got a firm out on the Monday to look at it and was basically told that i was better off getting a new one - which was i believe the right answer. i told them i would be getting quotes and they gave me a price on a Worcester. I found Mercer's on the internet as a Worcester specialist and gave them a phone - Steve was at my door in 30 minutes and i had a quote by the afternoon; which was competitive compared with the other lot and came with a longer guarantee and gave me a water filter for free. By the end of Thursday the boiler was installed and pumping out heat and hot water - the two guys who fitted it we lovely and left the place immaculate. One issue - which was no one's real fault but due to a lack of communication - was when i came to refit the housing - it would fit round the boiler - Steve came out the next day and with a bit of joinery we found a solution!! Thanks Steve and Co - this was a job well done and you have a very happy customer who is in love with his shower - what a difference in terms of water pressure and temperature!! - What started off as a disaster is now a triumph!! 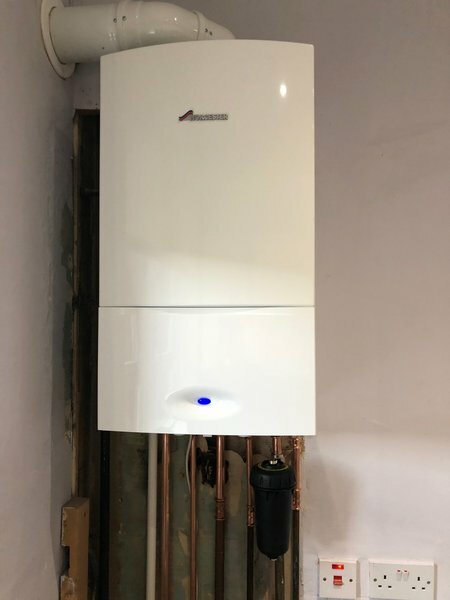 The guys at Mercer removed an old broken boiler of mine and fitted a new Worcester boiler. They only took one day as they said they would. The cost was as stated in the quote. They answered all our questions in easy to understand language. In fact they did over and above the job we asked them to do. They were a terrific team. I will be using their services again when I need any plumbing done. I fully recommend them to anyone looking for plumbing work needing done. Could not rate Stephen, James and Barry from Mercer plumbing highly enough. 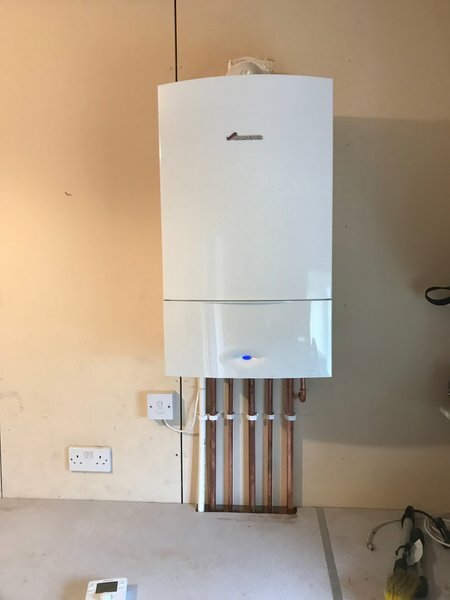 I had an old boiler and they did everything they could to get it working however eventually I had to replace it and the job was absolutely seemless. They worked non stop, highly professionally and were also just lovely people! 5 stars! Highly recommend! Stephen and his team installed a new Worcester boiler and Wave controller for me a couple of weeks back. I don't normally give reviews, but they were great, and I wouldn't hesitate to recommend them.